The final stop on our long journey was Washington DC. For this trip we weren't going alone because we were celebrating my grandfathers birthday so the whole family was there. We were of course missing a few but they got to be there through phone calls and pictures. Me and my parents went a week ahead of everyone to explore and see some stuff we new we wouldn't of been able to when they arrived. My mom and dad played a little bit of golf, I studied and we walked a lot around The Mall (DC national park). We were there during the Cherry Blossom season so all the trees had beautiful bright flowers on them that were just waiting to be photographed. When my brothers finally arrived we did some more sightseeing like going to the Air and Space museum, taking a tour ride on Segway´s and shopping in Georgetown. After a few days we all met up right outside Baltimore were we had rented a house by the river in which we could all stay together. Me and my brothers had a lot of fun playing with our little cousins and although it hadn’t been long since I’d seen them, it had been almost two years for them. We had a talent show, did magic tricks, played hide & seek and board games, so there was never a time for boredom. We took a day in Washington with everyone where we got to do some more sightseeing. We went into the National History Museum mostly to see the dinosaurs but it turned out to be a lot of fun for everyone, which is hard to find in a group of people between 2 and 70. We also went into Baltimore and Annapolis. 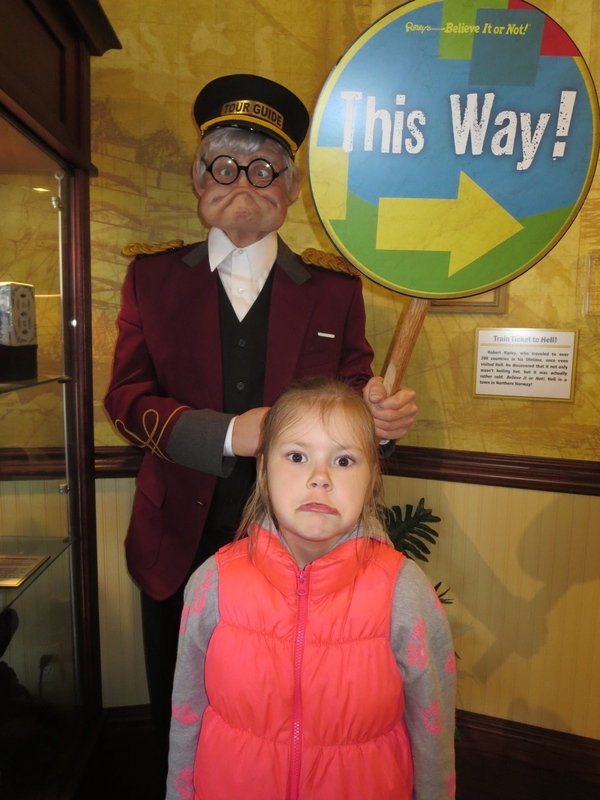 In Baltimore we saw Ripley´s Believe It or Not museum. That was really fun and we saw so much. There was a figurine of the worlds tallest man and it was quite frankly weird to see someone so much taller that my grandpa. There we also made replicas of our hands in wax that are now sitting in our living room. We then ended the trip in a birthday dinner before everyone headed their way. My parents, brothers and I went to Iceland and they all drove back to Providence.